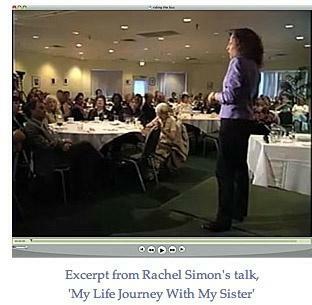 To arrange for Rachel Simon to speak to your group, contact Marc Goldman, at marc@damonbrooks.com, or 805.604.9017. 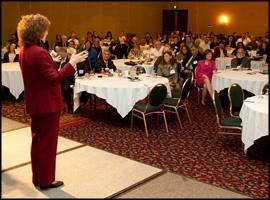 To me, public speaking is an essential part of my work as an author. 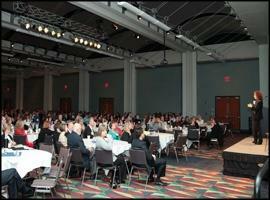 During the last ten years, I have had the pleasure of giving over four hundred keynote address and workshops to large and small groups in forty states. How do we help people with intellectual and developmental disabilities live lives with meaning, dignity, and respect, fulfilling their innate potential? How can we ensure that all people live in freedom, rather than hidden from the world? Rachel Simon's novel, The Story of Beautiful Girl, illustrates these themes. Using original artwork, family photos, and archival photos, Rachel will discuss our shared history, her personal history, and how we can all make a difference. This talk touches on many issues familiar to those in the disability community: the abuse and dehumanizing conditions in the institution, the advent of deinstitutionalization, and the value of dedicated Direct Support Professionals, who work to enhance the lives of people with disabilities. Rachel also weaves in issues such as the right to community living, romance, self-expression, spirituality, and independence. Rachel Simon's sister Beth is a spirited, independent woman who has an intellectual disability and who has forged a unique alliance with her community through her travels on the local buses. Rachel Simon's bestselling memoir, Riding The Bus With My Sister, chronicles the year she spent riding the buses with Beth, as well as their lives together from birth to middle age. In this lively, moving talk, illustrated by photos from the past and present, Rachel takes you on a journey - her journey as a sister, and Beth's journey as she moves from childhood to adulthood and into an independent life. This talk incorporates such issues as discrimination, parental struggles and victories, the concerns of siblings throughout the life cycle, the transition to adulthood, self-determination, travel training, and the importance of friends in the community. Rachel Simon's sister Beth lives independently with the support of a service provider. When Rachel reconnected with her sister through Beth's favorite pastime of riding city buses, she found herself struggling to understand a system that had never reached out to her, and that viewed an individual's family as parents, not siblings. This entertaining and honest presentation is illustrated by family photos and relevant images from the movie Riding The Bus With My Sister. Rachel will talk about how she did and didn't feel welcomed into the world of the professionals, why siblings need to be acknowledged in an ongoing way, and how service providers can form more effective partnerships with families. Only eleven months older than a sister with developmental disabilities, Rachel Simon grew up helping the world understand her sister, and helping her sister understand the world. At the same time, Rachel discovered that she had an ability to write stories that made readers laugh, cry, and stay up all night until they'd turned the last page. In this heartwarming and uplifting talk, Rachel shares how she recognized that she could use her skills as a writer to advocate for those who have been ignored by society or kept hidden from the world, and how she has made that her life mission. Have you ever wondered how a book gets turned into a film? Or been curious about how much input the author has, how she handles decisions beyond her control, and whether she thinks the final film portrayed her book accurately? This entertaining, anecdote-filled talk uses photos from Rachel Simon's visit to the set and LA screening of Riding The Bus With My Sister to provide a personal experience of the adaptation process. She reveals technical secrets, shares insight into the protocol of a film set, and shares how it really feels to walk down the red carpet with the stars. You have a story to tell - something that happened to you or someone you know, an anecdote you learned in a book or in a conversation. How can you take that true story and turn it into a compelling memoir or novel? What elements of the story should you include, and, more importantly, what should you leave out? And how can you decide whether to write it as fiction or nonfiction? Rachel Simon will explore these questions while using examples from her experiences crafting her novels and memoirs. Contact Marc Goldman at marc@damonbrooks.com, or 805.604.9017, to discuss how I can be part of your annual conference, fund-raising activities, diversity-awareness programs, and other events which will help you meet your goals.